Food packages consist of only food items. For more information on ordering regulations please Click Here! 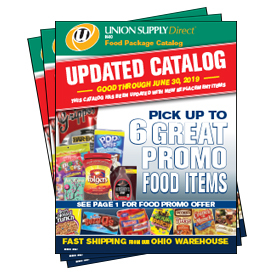 You can pick up to 6 Great Food Promo items! Shop here to order your Shoes, Clothing, Televisions, Headphones, Soap, Conditioner, Cosmetics and so much more! For more information on ordering regulations please Click Here! 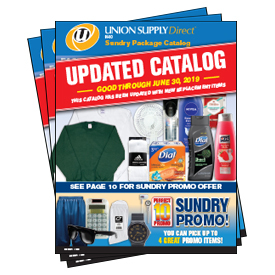 You can pick up to 4 great Sundry promo items! Items ordered as Exempt will not count against your total package limits! Order your Shoes, Televisions, Radios, Headphones, Typewriters, and Religious items here! For more information on ordering regulations please Click Here! 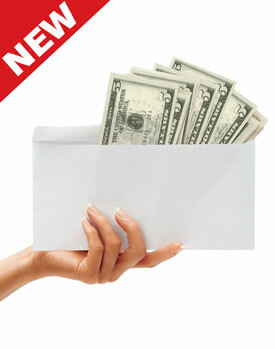 Our new Prepaid Program is a prepaid account that an inmate, friends and/or family can open with the purpose of adding funds to an inmate’s account for future purchases. 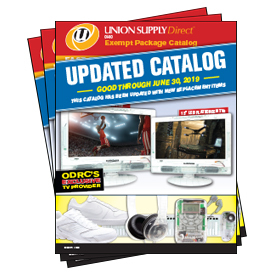 Funds can be deposited into a prepaid account at any time and can be used for all Union Supply Direct programs including Food, Sundry and Exempt orders. Just check off the ‘prepaid account’ option under the Payment Method section of the order form, send us the form, and we will process your order. Over 140 NEW items to choose from.